Why is it that we will buy into any random item we see that is plastered with the logo of our favourite team/band/celebrity/whatever? Celebrities are paid millions and millions in royalty money just to lend their trademark to the newest toothbrush, christmas ornament, canned lunchmeat, and pretty much everything else. 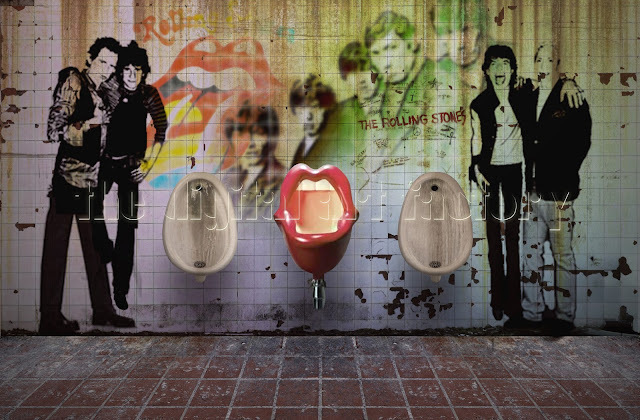 Case in point, the Rolling Stones. They were and continue to be so popular to this day that they still earn royalty money today for the ridiculous things plastered with their iconic lips and tongue. Just when you thought you were safe. Walk into the bathroom, lock the door. You’re alone in here, at least. Right? NO. 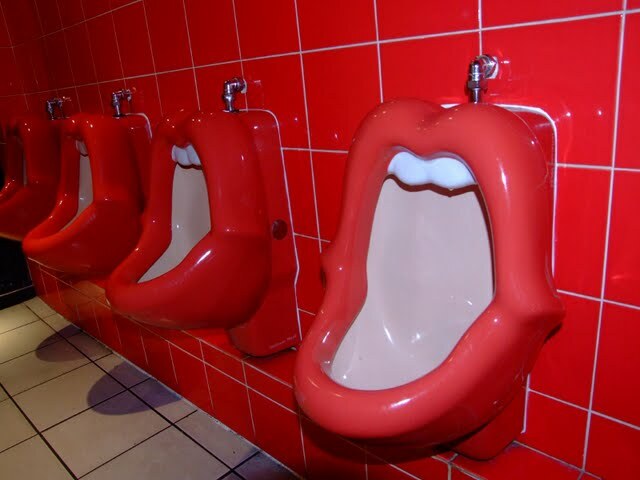 Staring you in the face…and your…other body parts…is the giant mouth that you will soon be peeing into. Oops, sorry. Didn't see you there. I'll turn around while you do your business. The one thing I can’t understand is why they didn’t think of the fact that some people probably have fetishes for these kinds of things…right? Or maybe they did think of that. Either way, I think this is pretty gross. Even the most obvious problem: the product is attempting to promote the band by having the population urinate onto its logo. Isn’t that usually a negative action? I have to ask though, and you will forgive me: why didn't they include the tongue in this captivating design? Somehow, too raunchy perhaps? Or maybe it just didn't make ergonomic sense. Who knows. I certainly can't be held responsible for understanding the inner workings of the minds of the people who come up with these things. There is worse out there.. I have a gross taste in my mouth right now.